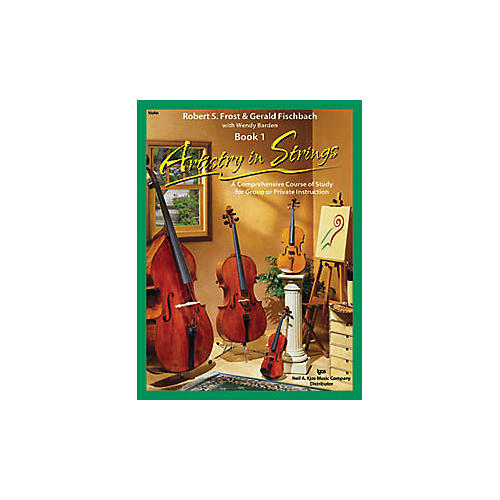 The comprehensive approach of Artistry in Strings provides all the basic tools necessary for establishing solid technique and expressive music making! Perfect for classroom, group, or private instruction. Each book includes music theory, composition, listening exercise, improvisation, ensemble performances, and interdisciplinary studies for a well-rounded approach. Music styles include classical, jazz, country, rock and folk music from a variety of cultures around the world.Book 1 provides the well-rounded approach students need to become successful string players and overall musicians. Bowing curriculum begins immediately to encourage the physical development needed for strong bowing technique. Note reading right from the start allows students to develop strong reading skills. Rhythm Charts feature rhythmic word associations for quick comprehension and long-term retention. The two Accompaniment CDs provide great motivation to practice - students will love playing along with professional musicians!